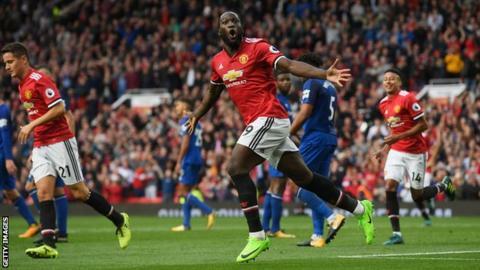 Manchester United chief Ed Woodward expects Facebook and Amazon to "enter the mix" when the next Premier League TV rights deal is negotiated later this year. Earlier this month, Facebook failed with a £445m bid for digital rights in the Indian Premier League auction. Amazon paid £37m to live stream the 10 Thursday night NFL games this season. Woodward said: "Absolutely I think they will enter the mix and we would welcome the interest." In the long-term deal they announced earlier this month, the Football League said that from next season major broadcast partner Sky, plus the clubs themselves could live stream any midweek match. On an investors' conference call to talk through United's latest annual results, executive vice-chairman Woodward was asked what plans the Premier League and Uefa had to maximise income from live streaming of games. He said: "Anecdotally there was strong interest in the last cycle. "We are hearing it round the Premier League table now and from a European perspective as well in terms of the Champions League rights and Europa (League)." Woodward said it was difficult to gauge the extent of the sums available as there was no direct comparison in football. However, he said he had heard of "very big numbers" being offered for IPL and noted "with interest" Major League Soccer's 22-match deal with Facebook for the 2017 regular season campaign. He said: "We are going to see an increasing engagement from these organisations and it is going to be increasingly important to digitally engage with fans. "We think we can be complimentary to partners like this." The Premier League are due to send tender documents out for their next rights cycle, which runs from 2019-2022. The current domestic and overseas broadcast deals are worth a combined total of £8.3bn. Read more on Are Google, Amazon and others getting too big?